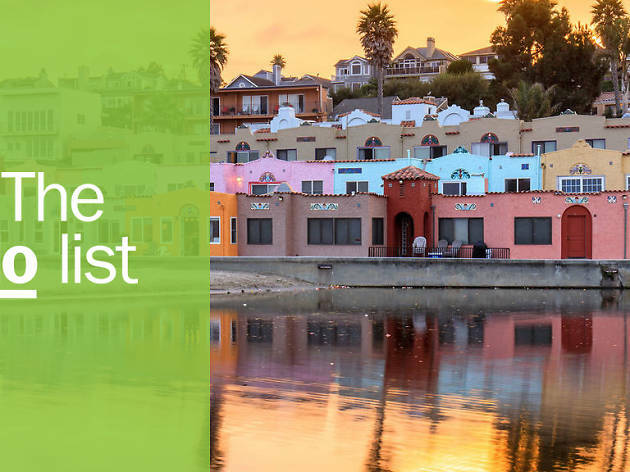 Flanked by coastal redwoods and Monterey Bay, Santa Cruz blends Southern California’s beach town vibes with Northern California’s rugged good looks. With 300 annual days of sunshine, you’ll find most residents outdoors on bikes, trails, or surfboards. It’s here that surfing was introduced to the mainland in the 1880s, and today, surf culture informs nearly every aspect of daily life. The official dress code is flip-flops and hoodies, yet it’s not all beach bums sleeping in their VW vans. 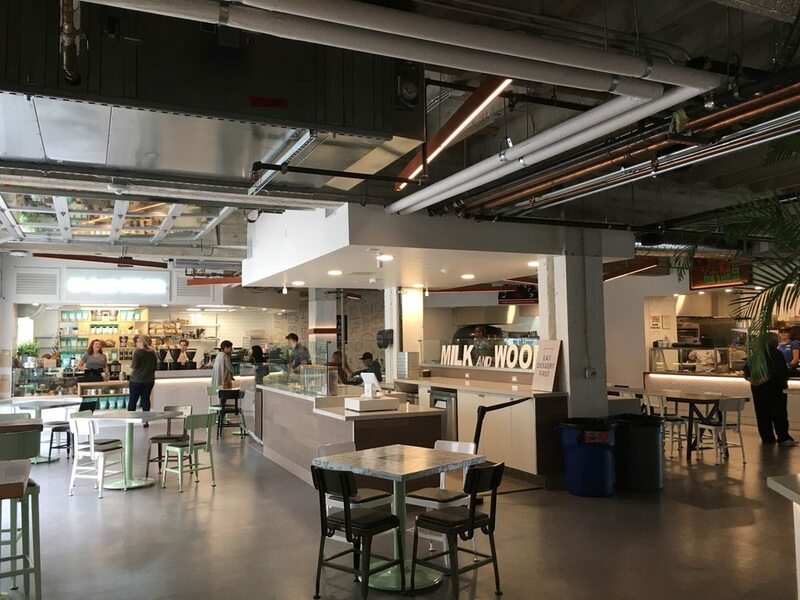 A new wave of young business owners are lending the once sleepy town a jolt of fresh energy with stylish boutiques, craft brews, and modern eateries. What is it? 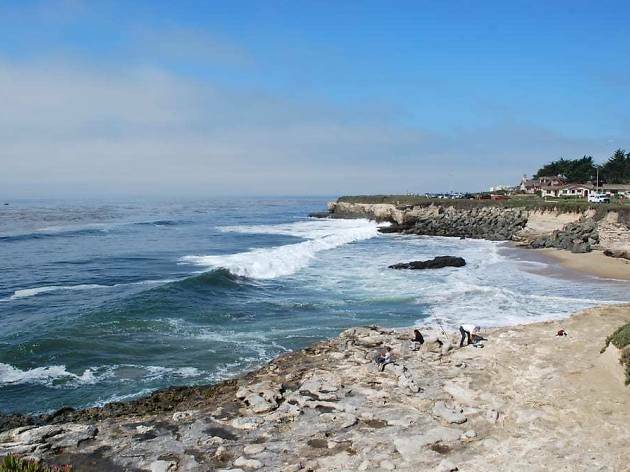 A three-mile, multi-use pathway that hugs the shores of Monterey Bay from the Santa Cruz Wharf to Natural Bridges State Beach with plenty of secluded beach coves and scenic overlooks along the way. Why go? Stroll this wildly scenic promenade and you’ll soon be ringing local realtors to see if relocation is an option. 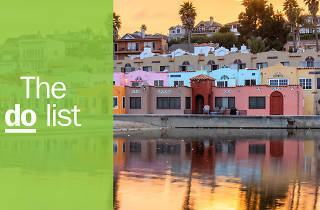 Come at sunset and watch the sky light up with enough colorful hues to rival a Holi fest. What is it? 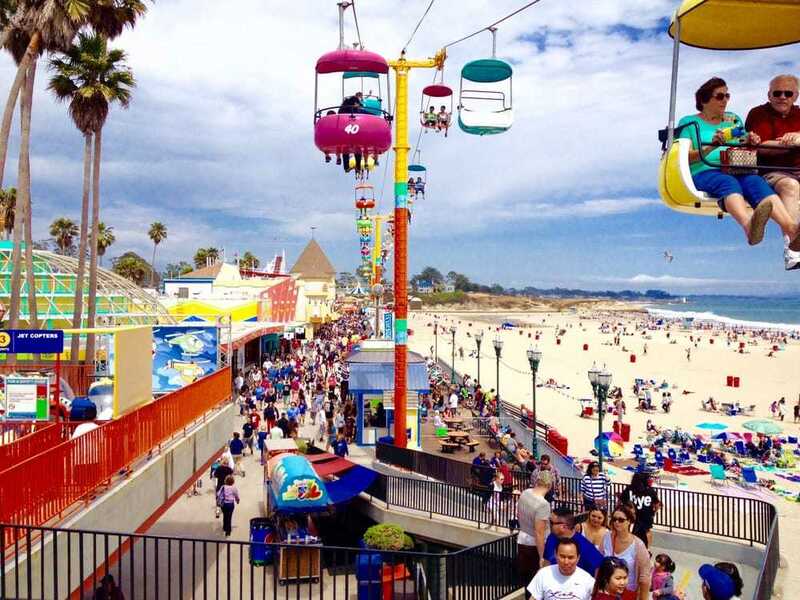 This timeless beachfront amusement park is crammed with thrill rides, midway games, and ooey-gooey treats that will have you pretending deep-fried Twinkies are totally Keto. Why go? Soar high above the beachfront in candy-colored Sky-Glider carts, descend into the spooky depths of the Haunted Castle, and go screaming over heart-racing drops on the historic Giant Dipper roller coaster. During summer, watch classic flicks on the beach including “The Lost Boys” whose teen vamps famously made the Boardwalk their local haunt. What is it? 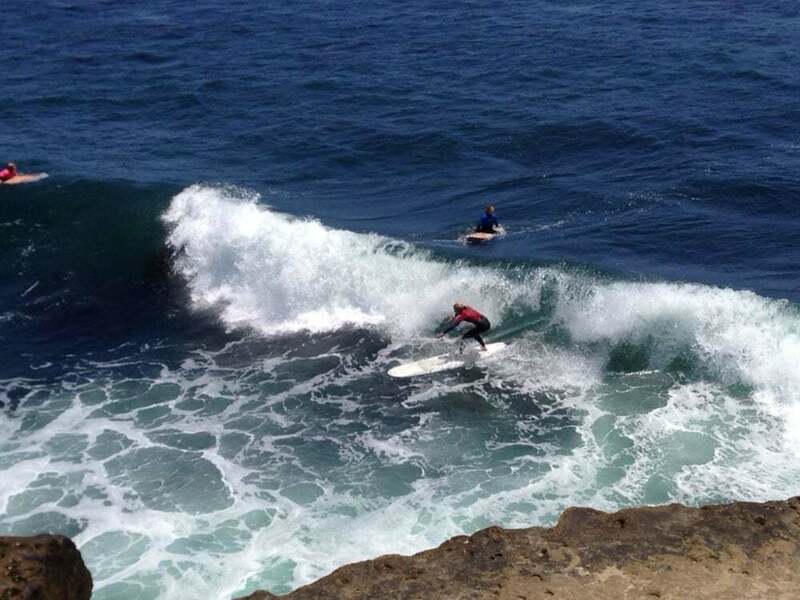 A world-renowned surf break that hosts numerous surf contests and regulars who glide along double overheads. Why go? Join the crowds gathered along the adjacent blufftop and get stoked on the local surf scene. A few steps away, the Santa Cruz Surfing Museum displays vintage surfing treasures—including a surfboard chomped by a great white shark—within a memorial lighthouse. Nearby Steamer Lane Supply serves take-away poke bowls, fish tacos, and creative quesadillas enjoyed on benches overlooking the surf. What is it? A magical beach-lined swimming hole hidden within a redwood forest. Why go? 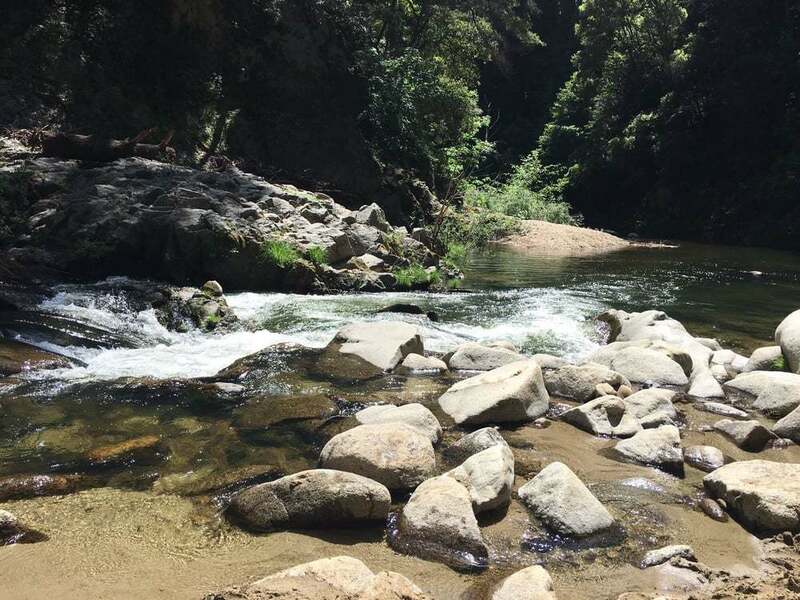 As the San Lorenzo River wends its way through Henry Cowell Redwood State Park, it frequently collects in deep pools as in this aptly-named oasis ringed by towering redwoods. Reached via a scenic .75 mile trek, the swimming hole features a wide sandy shore where you can throw down a towel and live off your cooler for the day. Just remember: respect the paradise and pack your trash! What is it? 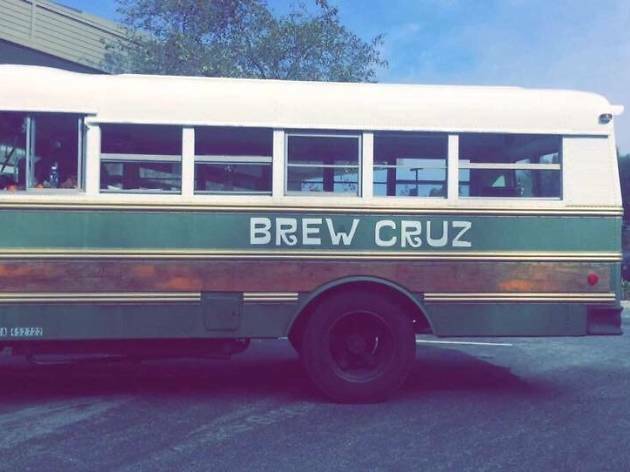 A tour of local taprooms and breweries aboard a tricked-out school bus dubbed Betty Jane. Why go? 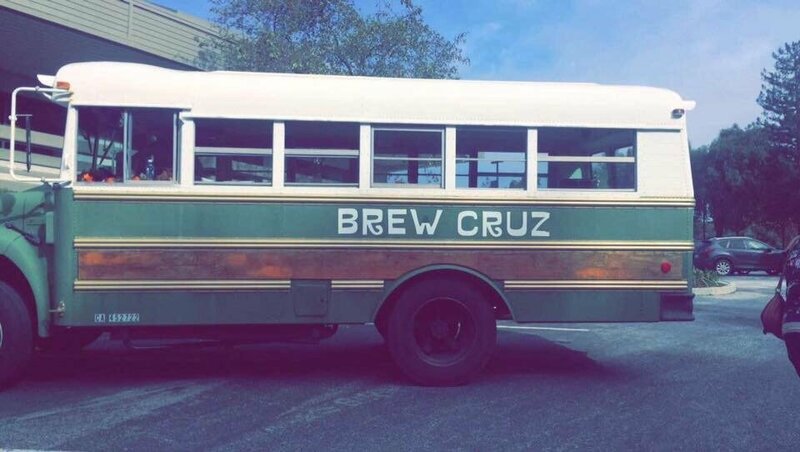 Santa Cruz is a sleeper craft beer destination with 14 breweries featuring worthy brews that you likely won’t find elsewhere. Highlights include barrel-aged sours at Sante Adairius, exceptional gastropub fare at Discretion Brewing, and hazy IPAs and a lively beer garden at Humble Sea Brewing Company. With knowledgeable drivers and on-board coolers, you can fill up on local insights and newly purchased beers. What is it? 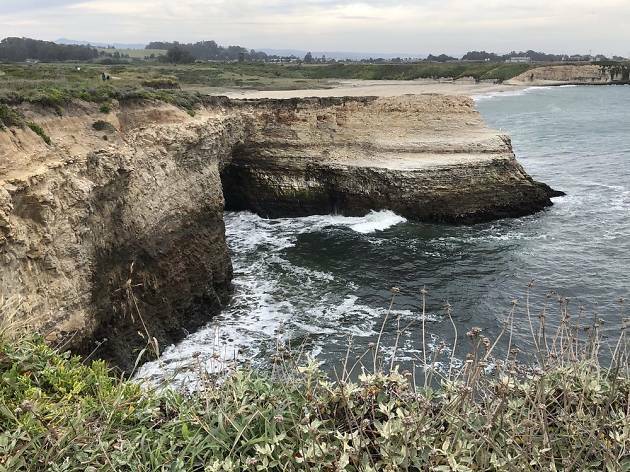 A dazzling 2.5-mile trail that skirts steep coastal bluffs—an uplifted ancient sea floor—with unspoiled views of the Pacific. Why go? You’re likely to spy frolicking dolphins, seals, and the humps and misty plumes of migrating whales. You’ll also pass Fern Grotto Beach, a secluded beach cove backed by an inland sea cave dripping with ferns. What is it? 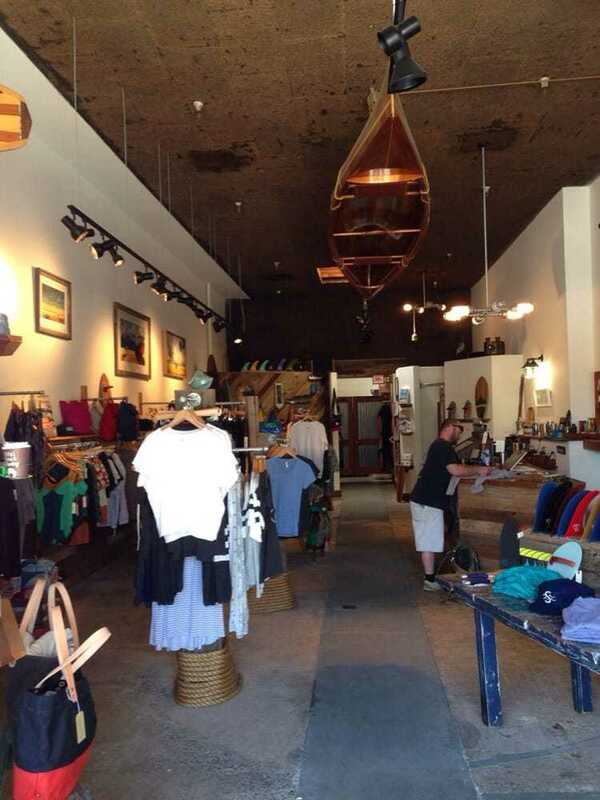 A surf-themed boutique that offers stylish gear and apparel to suit a coastal lifestyle. Why go? Outfit yourself like a local at this Westside neighborhood stop that’s one part surf shop, one part REI. 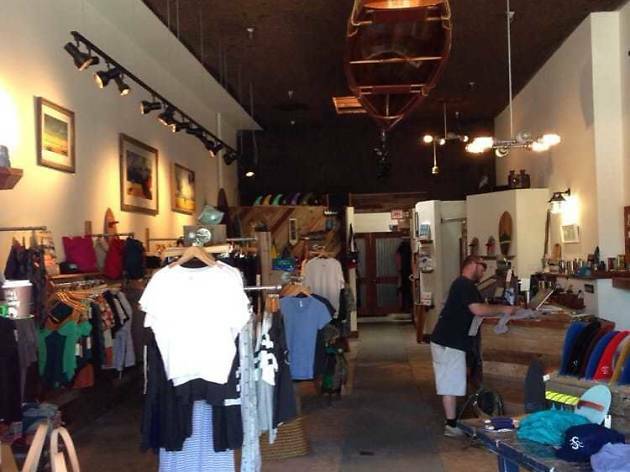 The shop features locally shaped surfboards, covetable camping supplies, and men’s and women’s clothing from brands such as Katin, Mollusk, and Aviator Nation. Little ones can look the part, too, with Sawyer’s children’s line, Salty Little Sliders. What is it? A mesmerizing beach cove with turquoise waters and a massive, namesake rock formation sitting just offshore. Why go? 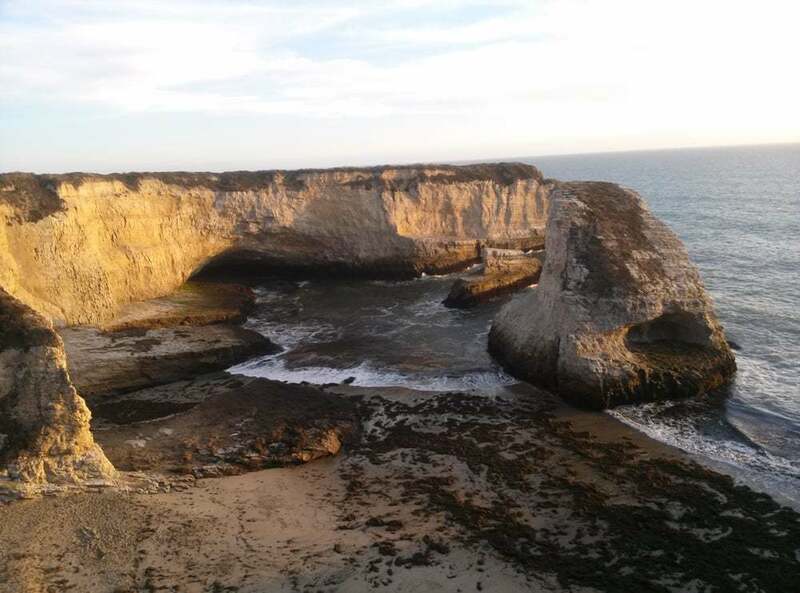 You’ll have to scramble down an uneven path from a blufftop, dirt parking lot, but you’ll soon discover a cinematically beautiful beach bounded by sky-high coastal bluffs, a sea cave, and a dramatic fin-shaped outcrop. It feels as if a young, harpoon-wielding Leonardo DiCaprio could stroll out at any moment. What is it? 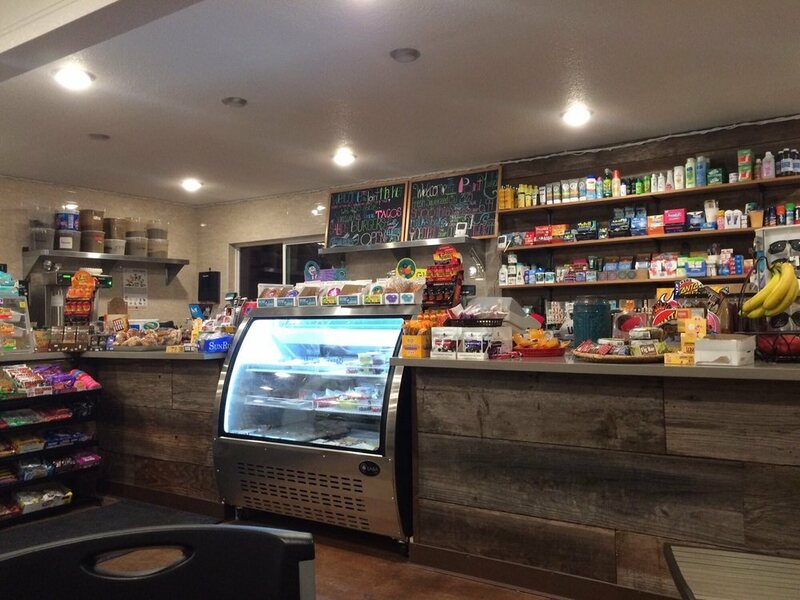 An unassuming corner mart that sits steps from the shore and just happens to serve the best breakfast burrito in California. Why go? Although the kitchen offers a lengthy menu of breakfast and lunch dishes, everyone is here for the breakfast burritos. They come in in two sizes—big and bigger—and burst with eggs, cheese, potatoes, homemade salsa, and extras including bacon, pesto and Soyrizo. For a quintessential Santa Cruz moment, enjoy it at the adjacent mini park overlooking surfers riding waves back into shore. What is it? A buzzy public market and plaza with a collection of local eateries and arguably the best cocktail bar in town. Why go? A variety of food stalls offers something for everyone, from charcuterie-topped Neapolitan pies at Pizzeria la Bufala to West African-tinged vegan dishes at Veg on the Edge. Start the day with third-wave brew at Cat.Cloud.Companion or wind it down with expert cocktails from Front & Cooper. The bustling downtown hub is a project of the adjoining Museum of Art & History which frequently presents festive events and live music on the sprawling, light-strung patio. What is it? A fun roadside stop along twisty, redwood-shrouded Highway 9. Why go? 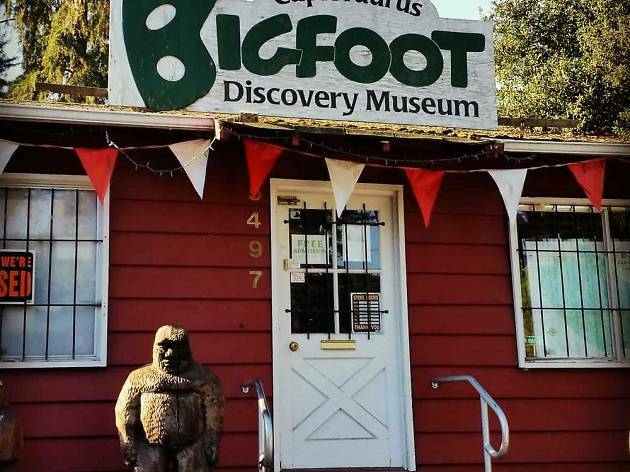 The two-room shrine to Sasquatch features a nostalgic collection of Bigfoot toys and pop culture appearances, from “The Six-Million Dollar Man” to “Harry and the Hendersons.” Things get hairier in the next room with plaster casts of oversized feet and a wall-sized map dotted with colored pins denoting recent sightings. 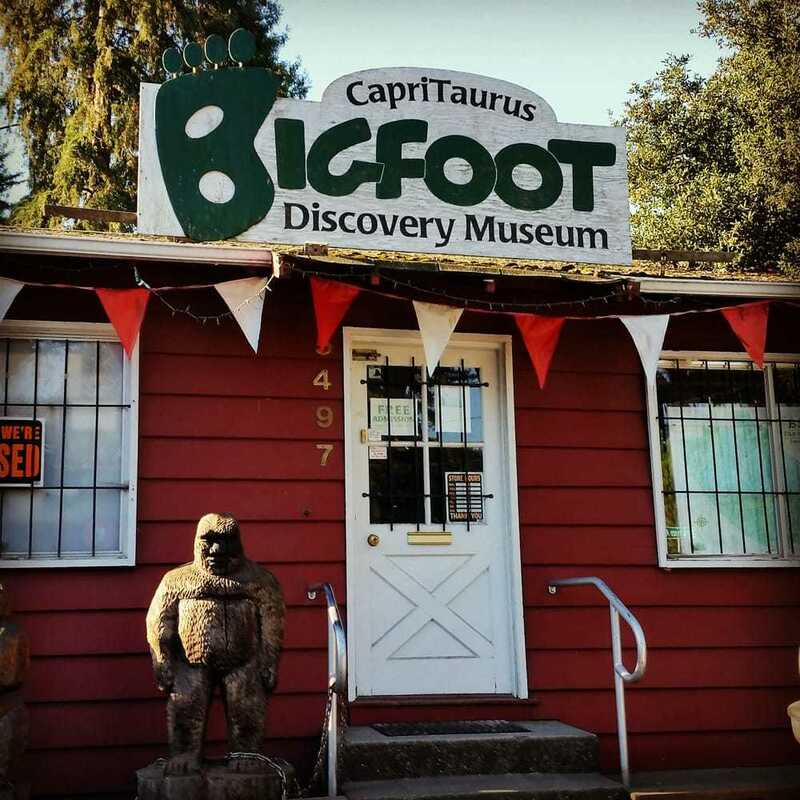 After chatting cryptozoology with the owner, head into the woods and seek out the big guy yourself.